On the threshold of the 21st century, about a quarter of the world's people do not share in the march of civilization. Over half of the World's absolute poor, who also happen to be half of the world's illiterates, are concentrated in South Asia. The history of industrialized countries unambiguously teach us that quality primary education for all children is an essential condition for a nation to move out of the vicious cycle of poverty and illiteracy. The lessons of history have been recognized by Bangladesh. 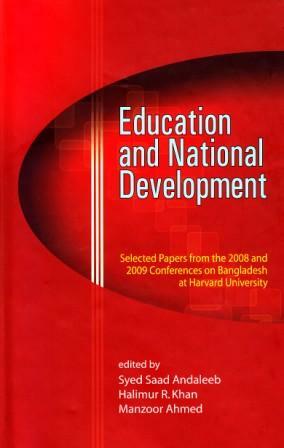 This book tells the story of primary education in Bangladesh. In August 1996, several hundred participants including the government, politicians, teachers, academics, parents and other concerned sections of Bangladesh society and several development professionals from abroad assembled in a 5-day conference on Universal Primary Education to reaffirm their commitment to universalising primary education in Bangladesh. The book includes policy analysis and statements by government leaders, commissioned research papers, summary of the discussions followed by a series of recommendations relating to the current debate on educational reforms in Bangladesh. The information and analysis contained in the book provide an indepth understanding of the policy issues faced by policy planners and would help them take decisive steps towards universalising primary education of an acceptable quality. Of particular historical importance and interest to the readers is the storehouse of authentic information and documents contained in the book in the area of primary and basic education in Bangladesh. The book should be of value to policy planners, NGOs, researchers and academics, international agencies, students of education and to anyone who needs to know about primary education in Bangladesh.